Military bomb disposal teams were called out to hundreds of schools in the UK in the space of two months to safely destroy a potentially-dangerous chemical stored in many chemistry classrooms. The Department for Education (DfE) has admitted it worked with the Ministry of Defense (MoD) to carry out controlled explosions of 2,4 dinitrophenylhydrazine (DNPH) – a volatile chemical known to pose a risk of explosion caused by shock, friction or fire. Some schools failed to warn the public about controlled explosions in advance. The Thomas Adams School in Wem, Shropshire, detonated the substance without warning while children were trick or treating last Halloween. At least 589 controlled explosions were carried out between October 21 and December 21, 2016, after the government advised schools to check the chemical. A total 594 visits to schools and colleges took place during the same period, according to MoD data retrieved by the BBC under Freedom of Information (FoI). On one occasion verbal advice was given. The BBC reports that on four occasions visits were “doubled up,” meaning the issue had previously been dealt with. The MoD said it cost just under £90,000 (US$111,000) for the controlled explosions to be carried out in schools in England. It has yet to calculate the cost of bomb disposals in other parts of the UK. 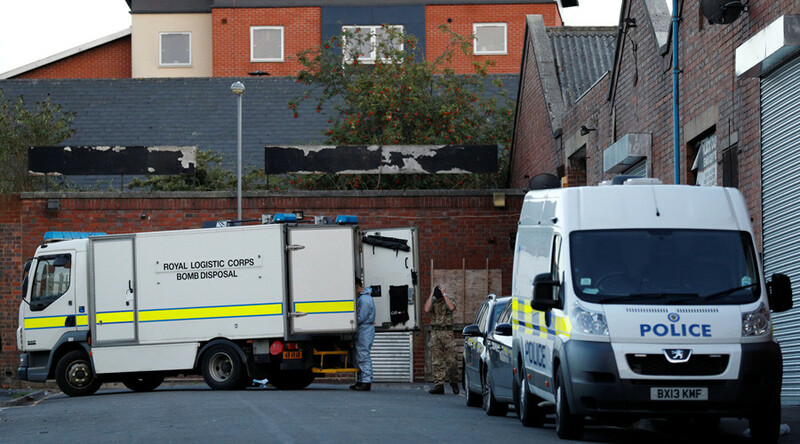 Schools acted on the advice of Consortium of Local Education Authorities for the Provision of Science Services (CLEAPSS) in calling in the bomb disposal units. The chemical 2,4-DNPH is safe if stored in damp conditions, but can become dangerous if it dries out. “As a safety professional, I would always err on the side of caution,” Kinnison told the BBC. “Yes, there could have been possible other ways of dealing with this, however, the schools were presented with this advice. A government spokesperson added that “We contacted schools last year to remind them of the importance of storing chemicals for practical science activities carefully.